Please use our main Internet addresses (bigfamilynews.com and bigfamilycookbook.com) and update your bookmarks. We want you to always know who you're dealing with online. Towards that end, we will sometimes register domain name variations to thwart another group from using something similar that could compete with our name or confuse our readers. Consider the example of bigfamilynews.com vs big-family-news.com and ourbigfamilynews.com. Presently, our relatives own all three. As you click each one, you'll notice they all return you to the same place because the owners forward the variations to bigfamilynews.com. We're starting this way to make it even easier for you to find us, even if you type in those different URLs. We inform you when we forward visitors from one URL to another at forum.bigfamilynews.com via URL updates. As appropriate, we'll ask you to sign-in for family-only announcements in detail. You'll also find "Recent URL Changes" at the bottom left corner of this page. 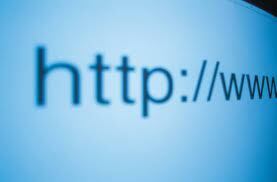 Read why we registered domain names here. Relatives also own bigfamilycooks.com and bigfamilyrecipes.com and forward visitors to those URLs to bigfamilycookbook.com. Again, please use our main Internet addresses (bigfamilynews.com and bigfamilycookbook.com) and just be aware we route traffic for your convenience and domain name protection. What do you like about about this new web site? Let us know in comments!